Carol Jean Call was born February 17, 1950 in Phoenix, Arizona, where she lived her entire life of 68 years. She passed away peacefully in her home, with her husband Gary and family surrounding her, on July 6, 2018. Carol and her husband, Gary Call, were married and sealed for time and eternity in the Arizona Temple on July 19, 1968. Her entire life revolved around her six children, twenty grandchildren, and three great-grandchildren. The past 40 years of her life she demonstrated incredible fortitude and strength as she endured life-altering physical challenges with a smile! Grammy, as she was known by her family, shared her many talents of crafts and baking with all those around her. She was a loving and devoted wife, mom, and Grammy. She was always thinking of others and giving selfless service with a compassionate heart. Carol was an active and committed member of The Church of Jesus Christ of Latter-day Saints. 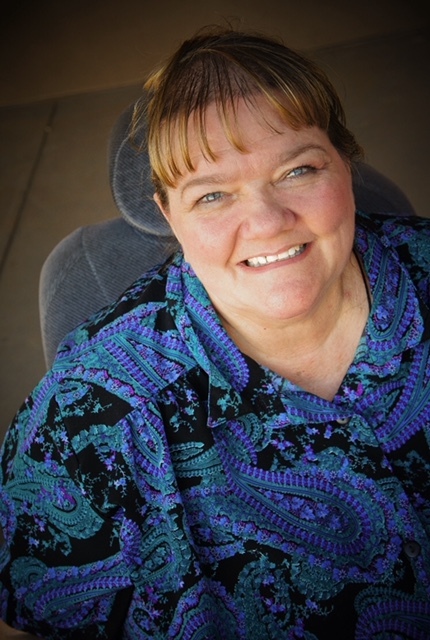 She served in many capacities, including as an ordinance worker in the Mesa Temple in Arizona. Carol is preceded in death by her father, Merril; son, Ron; grandson, Caleb; and great-granddaughter, Avaya. Her legacy will be carried on by her husband, Gary; their children, Rob (Ruth) Call, Wendy (John) Castle, Diana (Jordi) Ferre’, Gary (Sharon) Call, and Josh (Miriam) Call; as well as the rest of her posterity – including her mother, Merlene and her brothers, John and Bob. A funeral service will be held Thursday, July 12, 2018 at 10:00am, preceded by a visitation at 9:00am, at The Church of Jesus Christ of Latter-day Saints, 800 W Chandler Heights Rd, Chandler, AZ 85248. In lieu of flowers, donations can be made to the LDS Missionary Fund. Gary Thank you for allowing me to be Carol’s nurse. You both are great and beautiful spirits and will have a fantastic reunion on the other side. Much love and sincere sympathy to your family. Dear Gary and Family my prayers are with all of you, please know Carol is at peace and so healthy and happy. Take care of yourselves. Love always. We are so sorry Gary and all your family. We loved Carol. She always had a beautiful smile even tho she was in pain most of the time. We love you and your family. May the Lord be with you always. Gary when I first started in the temple you made me feel right at home. Then I noticed you made everyone happy and feel at home. You are amazing. It wasn’t until later that I understood about Carol. You are special and now she can be her. Love you. Sending condolences and prayers for peace dear friend. Gary, I’m so sorry to hear about Carol. I had totally planned on coming down today for the funeral but I’m not going to make it and I feel bad about that. You are such a great man and I wanted to support you in some little way by being there. You are in our thoughts and prayers. We love you Gary! Codolences to your family upon the death of your mother. I didn’t know your mother Rob but I am sure she was an awesome mother. She is at least out of her misery now and in a better life than us not far from us the veil is very thin. At least you will see your mother again and be reunited as a family. My sympathy to your family prayers for your family. So glad I found this that Diane posted on FB. Have wanted to contact you and wish you our sincere sympathy . I just loved Carol and so greatful for her life and her influence on my kids and generosity of always sharing her many talents. She always made me laugh and made light of so many of her trials. We just love your family and children. It’s wonderful we have the gospel that brings up so much peace when we lose someone so dear. Give all our love to your family.